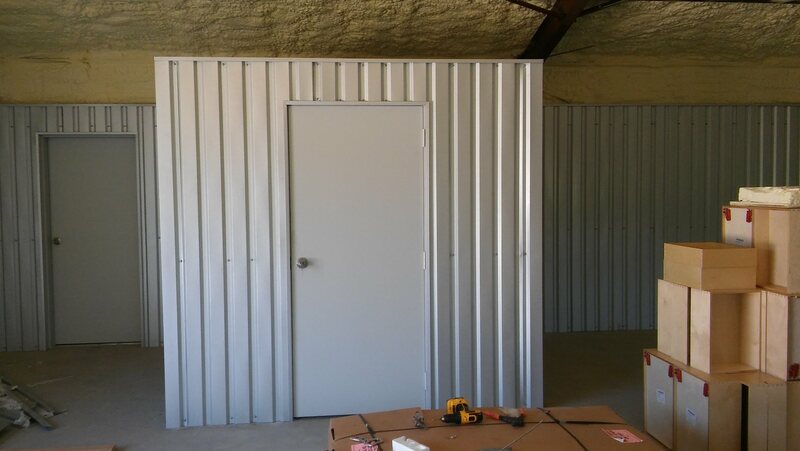 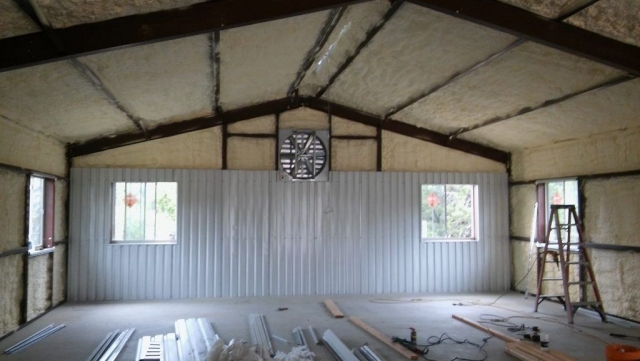 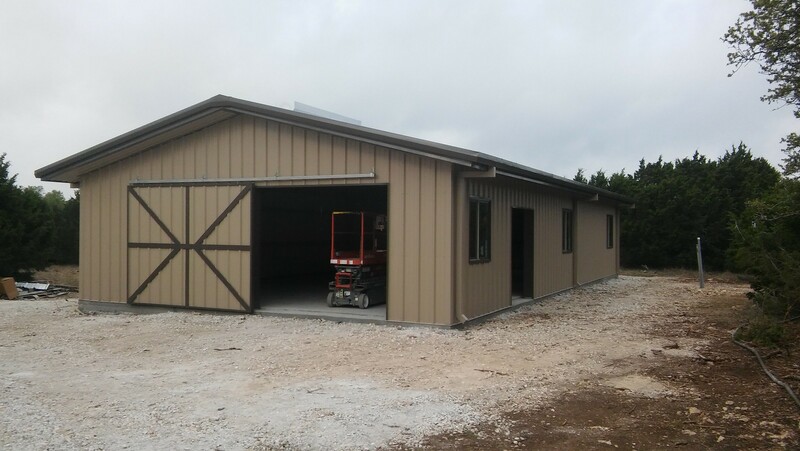 Metal Shop Building with roof vents, custom fabricated metal sliding door, upgraded windows, huge exhaust fan, SMS Trim Package. 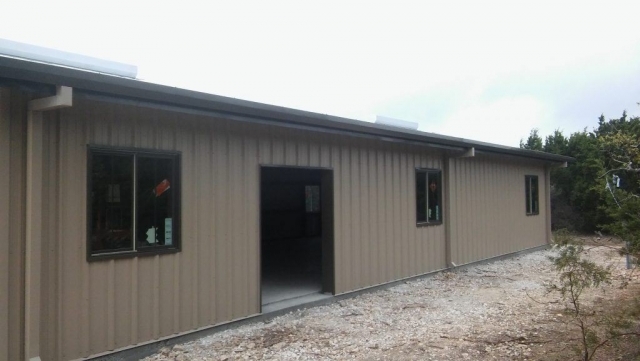 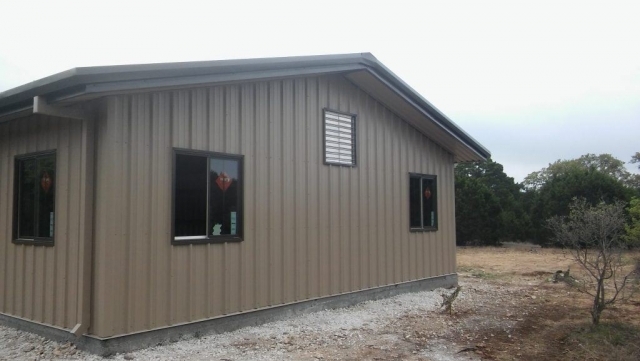 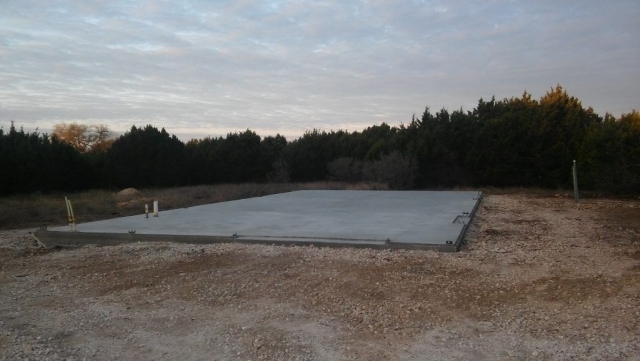 This wonderful steel building is erected on our sturdy, iron filled, concrete foundation. 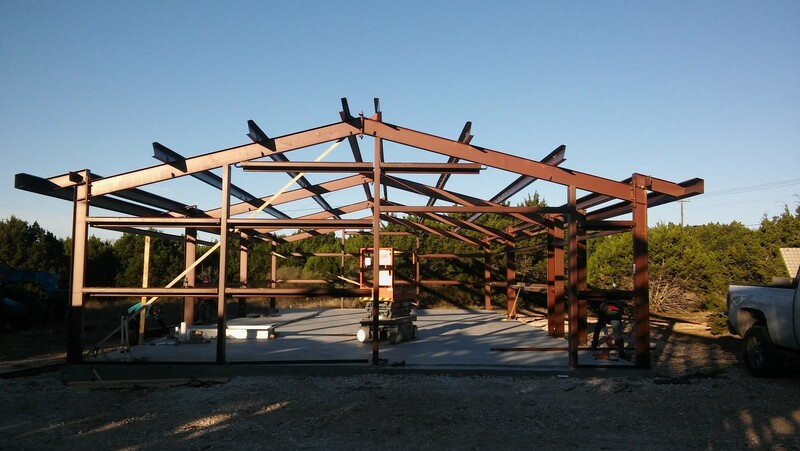 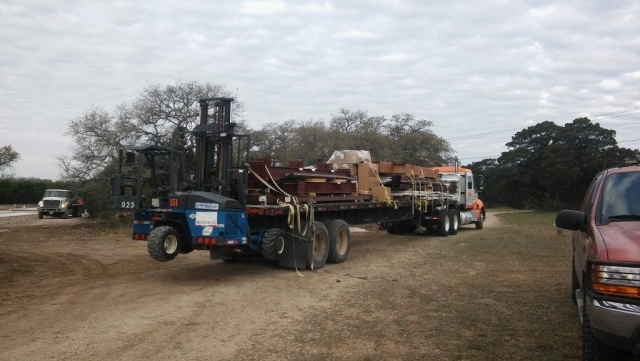 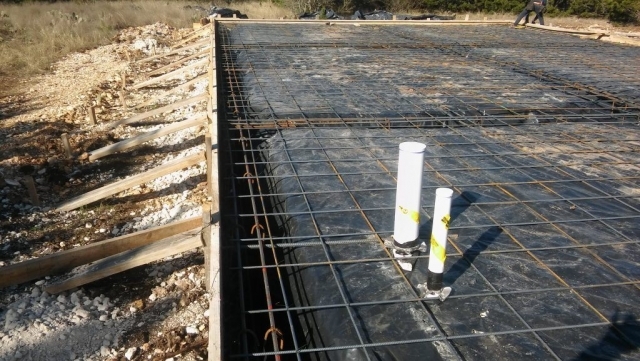 Travis Audubon will be using this facility at their Baker Sanctuary location where Solluna Builders of Austin has designed and built a beautiful green home.